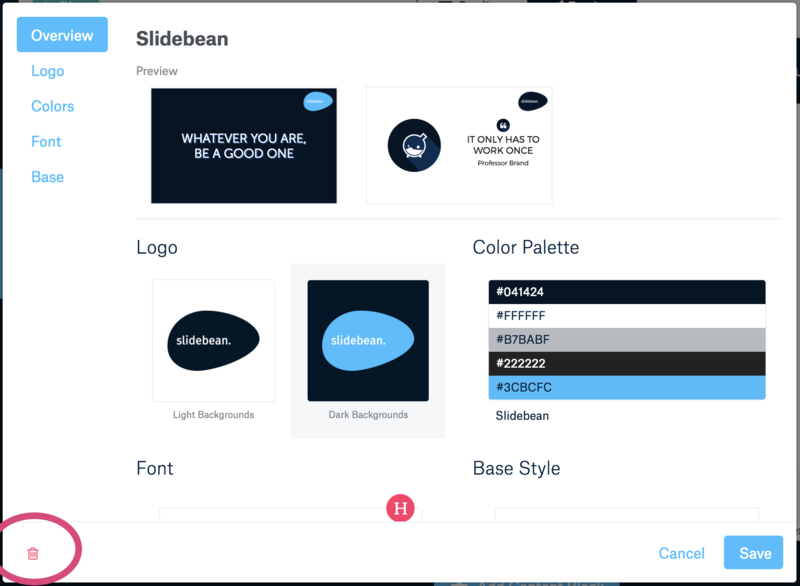 To get started, move to the Design editor of the presentation, click on "Theme", then find the "New +" button and click on it. A window will pop up with the options to create your theme. There's two buttons to upload the logo: a version for light and dark backgrounds. Just click on them to be able to browse your computer files and upload the files. 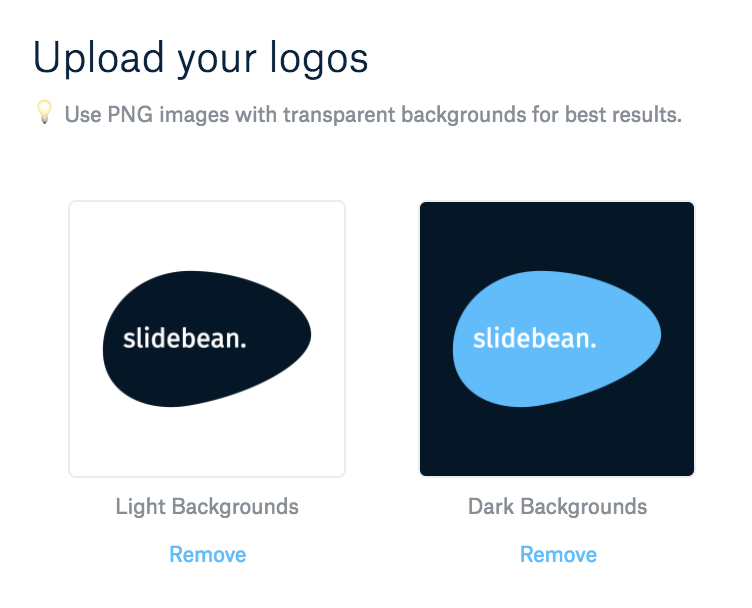 We suggest you use .png files for better performance. In order to delete it just hit "Remove" and click on the logo itself in order to change it. 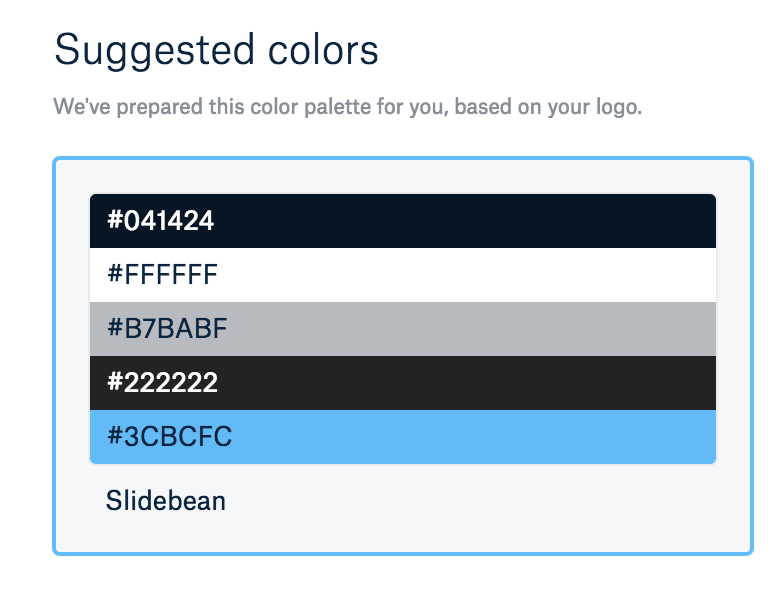 In case you don't want to use those colors, just choose a different Palette from the default options or create a new one to be able to choose the colors you like. After the logo is uploaded and the colors are set, you can finally change the base Style for the slides and the Fonts. When you have the right settings, make sure you click on "Save". If you want to remove the theme, go find it among the "Theme" options and click on the Pencil button to edit it. Once there, find a Trash bin button in the lower left corner of the window.